Industruino PROTO–now available on our online store—joined the AtHeart Program back in 2015 with hopes of combining industrial automation components and the simplicity of Arduino. This robust DIN rail mountable, Leonardo-compatible controller enables you to take your existing Arduino projects and swiftly transform them into permanent installations. The prototyping area and screw connectors allow you to install your own circuitry and reliably connect to accessories. 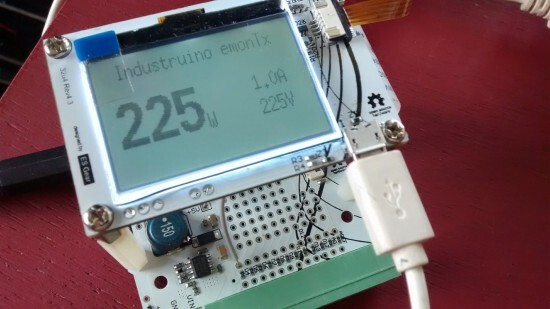 The team recently created an excellent tutorial showing how you to build an Arduino-based electricity consumption monitor with the Industruino PROTO platform. 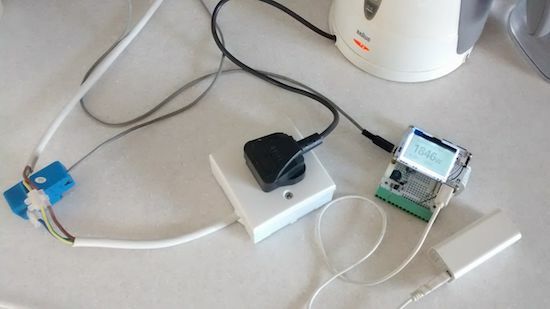 You can use it to measure AC power of your appliances, including a water cooker, TV, laptop charger, or anything else plugged into a wall socket. Alternatively, you can even use it in your electricity cabinet to evaluate the power consumption throughout your entire house (at least one phase). The challenge is to measure an AC of a relatively high voltage (220-240V) with a direct current 5V Arduino MCU. This may seem dangerous, but we will use a non-invasive Current Transformer (CT), so our Arduino remains galvanically isolated from the high voltage AC. This prototype is based on the excellent open source project OpenEnergyMonitor. 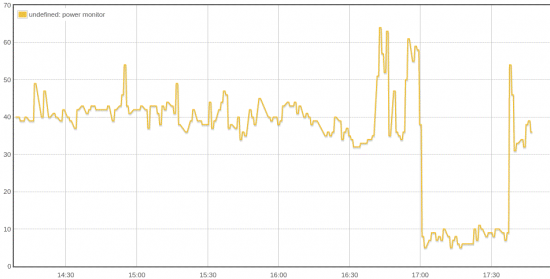 It uses parts of the its standard emonTx hardware and software to report the AC apparent power consumption, based on measurements of a Current Transformer as in the picture on the left. The original project also allows to measure 3 phase and/or real power, but for our prototype here we are only measuring the current of one phase, not its voltage which would require an AC/AC adaptor. Want to make one yourself using the Industruino PROTO? You can find all the necessary documentation, including schematics and code, on the Industruino blog! This is interesting. But to measure the power both current and voltage would need to be simultaneously measured to account for any phase difference between them that any reactive load would present. Any ideas on how to capture the voltage measurement?